Medical error and misdiagnosis was found to be the third leading cause of death in the U.S., behind heart disease and cancer. How could this happen? If medical error and misdiagnosis are the third cause of death in one of the most medically developed countries, imagine what is happening in the rest of the world? Let’s take a closer look at the third leading cause of death you may have never heard of. Recent research published in BMJ uncovered startling facts about medical error and misdiagnosis statistics. So startling in fact, they may leave you never wanting to visit a hospital ever again. If you follow CDC statistics on leading causes of death in the U.S., you will find medical error and misdiagnosis not listed in the top ten. According to the CDC, the third leading cause of death is Chronic Lower Respiratory Diseases with nearly 150,000 deaths annually. How is it possible to have such contrast in data? Authors of the recently published article, Dr. Martin Makary, professor of surgery, and Michael Daniel, research fellow from John’s Hopkins University, highlighted the statistical contrast. “As a result, causes of death not associated with an ICD code, such as human and system factors, are not captured,” the study authors noted. The CDC utilizes death certificates to compile statistics regarding cause of death, which may not offer a transparent view of how a patient passes. The Classification of Diseases (ICD) codes simply do not extend to medical error and misdiagnosis. This is why the CDC fails to have such causes of death listed. To obtain a better picture of how medical error ranks among the leading killers in the U.S., Makary and Daniel analyzed four professional studies. These studies listed death rates between 2000 and 2008, as well as hospital admissions for 2013. What the researchers found was shocking. Among the 35,416,020 hospitalizations, 251,454 deaths occurred from medical error. That is roughly 100,000 more deaths than the CDC’s third leading listed cause of death, Chronic Lower Respiratory Diseases. According to the research data, medical error accounts for 9.5 percent of all deaths in the U.S. annually. Medical error and misdiagnosis is certainly no laughing matter. Seeing your physician and getting the care you need is important. However, each time you step into a doctor’s office or hospital, you are at risk. This study may help shape the future of healthcare. It may put the focus on misdiagnosis and human error. Tracking the leading causes of death for a specific population more accurately can help medical professionals, policy makers, and medical institutions have a better understanding of all-cause mortality. 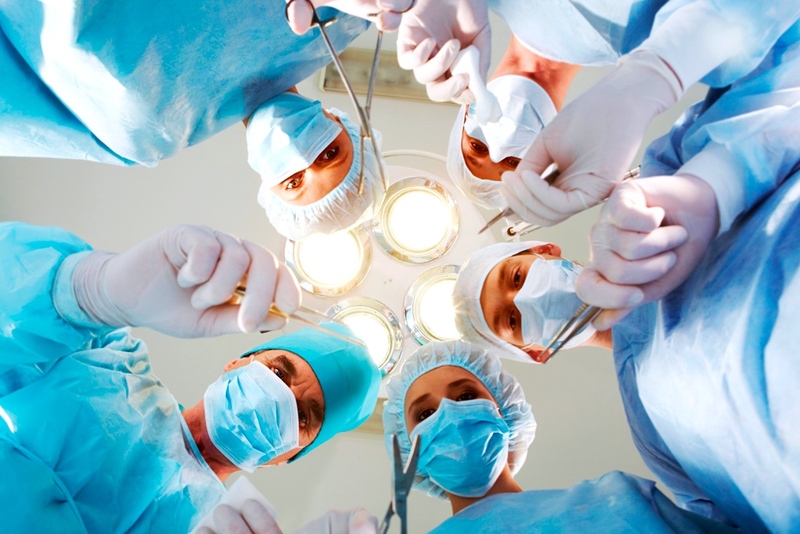 How can you avoid becoming another medical error and misdiagnosis statistic? Waiting for better death rate tracking to be implemented could leave you at an increased risk. The good news is that you don’t need to rely on the statistics to obtain the medical diagnosis and treatment plan you need and deserve. An article published by TIME discussed a recent study in JAMA (2015), which highlighted the need for obtaining a second opinion. The research published in JAMA found that doctors diagnosing breast cancer agree with outside experts 75 percent of the time. Leaving 25 percent to misdiagnosis and medical error. This percentage is certainly higher compared to the 9.5 percent cause of death estimated in the BMJ article. 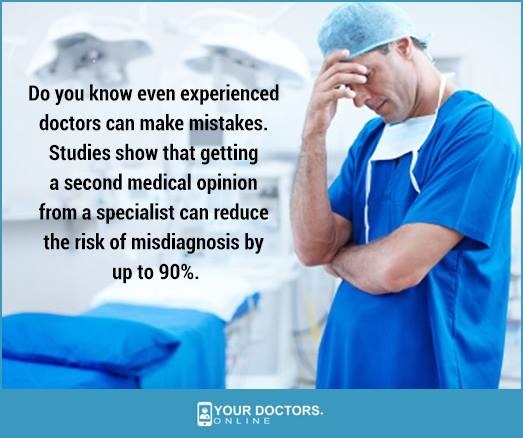 The pathologists involved in the 2015 study also said that getting a second opinion is indeed valuable. Obtaining a second opinion is becoming more commonplace in medicine, especially if you have been diagnosed with a chronic illness. Even if you agree with your doctor’s diagnosis and treatment plan, a second opinion may give you more insight into your medical condition. And more insight means better peace of mind. From pregnancy issues to cancer, talking to a doctor online can be valuable. Do you need medical advice or a second opinion? What is the Best Online Doctor Consultation Portal in India? Retirement Medical Costs: Do You Have a Finance Plan?